The NFL was reportedly scared of the mainstream media blowback that it would receive if Michael Sam, the league’s first openly gay player, did not make a team. 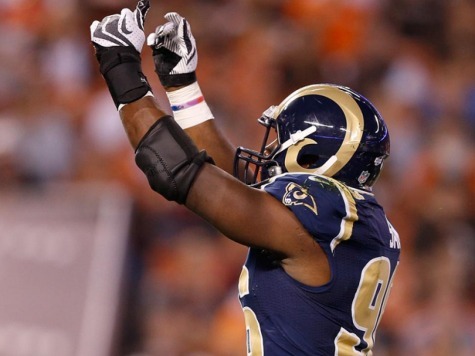 When the Rams cut Michael Sam last weekend, the NFL reportedly called teams to inquire if they had “evaluated Sam as a possible practice squad player,” according to a report from MMQB’s Peter King. Before Thursday night’s NFL season opener between Seattle and Green Bay, King reported that Sam and the NFL eventually avoided a “nightmare situation” when Jerry Jones and the Cowboys ultimately signed him to the practice squad. Sam, a prototypical tweener who is not big enough to be on the defensive line and not fast enough to play linebacker, would have found it difficult to make any team’s 53-man roster.